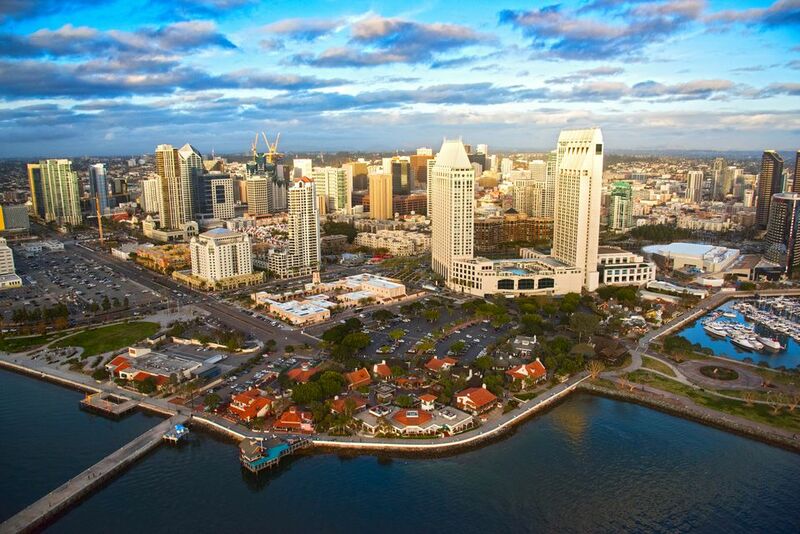 From intimate clubs to massive arenas, San Diego has a wide variety of concert venues to choose from. Our guide to the top places to see live performances in and around San Diego can help you know what to expect when planning to attend an event at one of these popular venues. House of Blues in San Diego boasts one of the coolest stages anywhere and a restaurant that actually has great food. Pros: House of Blues has booking power for top acts. Cons: Downtown parking. Tidbit: It is reputed to have the best concert sound system around. This local favorite in Solana Beach is the best place to see non-mainstream musician acts. Sight lines can be a bit difficult with the odd building layout, but the place definitely has the cool factor down. It also has the flexibility to be the setting for rocking out or providing a more intimate atmosphere depending on who's performing. Pros: Niche musician bookings and fun surf atmosphere. Cons: Crowded sell out shows sometimes feel oversold. Tidbit: Shows are often less than $30. With only 1,300 seats, Humphreys in Shelter Island provides an intimate setting for its summer concert series. Pros: Great setting on the waterfront. Cons: Aisles and seats are so tight there is not much room to move. Bar noise can also be aggravating. Tidbit: If you have a boat, you can watch concerts for free from the marina. Located on the San Diego State University (SDSU) campus, this 4,600-seat amphitheater offers great sight lines and good sound. It is steeply raked, so be careful walking the aisles. Emerging acts on summer tours are often booked here. Pros: Cool campus setting. Cons: Cheap seats at the top are concrete (ouch!) and not too many acts booked anymore. Tidbit: If you hang outside early enough, you can listen to the band do sound checks. This giant amphitheater, recently renamed (formerly Cricket Wireless Amphitheatre and Coors Amphitheatre before that) and located in Chula Vista, was a much-needed concert platform for San Diego, enabling mega acts to come to the cit instead of passing up San Diego for bigger concert arenas up north. Sleep Train Amphitheatre has gently sloping sight lines with room for 20,000 (half on the general admission lawn). Pros: Roomy facility with lots of leg room. Cons: Traffic access isn't the greatest, and the lower part of the bowl isn't raked quite enough if you're behind a tall person. Tidbit: Large video screens help your viewing. Also located on the SDSU campus, the 12,000-seat Viejas Arena (formerly Cox Arena) is home to the SDSU Aztec Basketball team and also hosts some excellent concerts. Pros: Steep seat angles offer good sight lines. Cons: The facility feels more utilitarian than luxurious. Tidbit: Cup holders on the seats are handy. Don't park in the adjacent neighborhood streets—you'll get ticketed. This former movie palace (Fox Theater), built in 1929, was refurbished in the 1980s and renamed Copley Symphony Hall. It has awesome accouterments and acoustics, with not a bad seat in the house. Pros: Acoustics and setting, which is very classy. Cons: Parking Tidbit: Check out the huge chandelier. This small intimate theater in East County's Sycuan Casino is a great place to see a concert. It seats only about 500 and provides an intimate concert experience in a comfortable setting with some top name acts (Cheap Trick, Michael McDonald). Pros: Intimate size and casino gaming right outside the theater. Cons: Casino gaming right outside and sometimes a hodgepodge of concert bookings. Tidbit: Make time to do some dining—the Wachena Falls Cafe is quite good. Edited by Gina Tarnacki on September 30, 2016.